PRACTICE. We do it every minute of every day. Right now. Our actions become habits, and our habits become who we are. What if we practiced daily meditation, daily yoga? What if we practiced daily surf, or practiced learning how? Then who would we be? Join us in Todos Santos, Mexico for 5 nights and 6 days of yoga, meditation, and surf at the beautiful and luxurious Pachamama Mexico retreat center. Practice something familiar, or practice something new. We’ll be practicing our daily yoga, meditation and surf on the Pacific coast of Baja Sur at the spectacularly appointed Pachamama Mexico. All meals on site, catered by a personal chef. Gluten free and vegan options available. Our all-inclusive pricing means you’re covered from the moment you land, until we return you to the airport. What’s NOT included? Your airfare to and from San Jose del Cabo (SJD), alcoholic beverages, meals or snacks outside the 3 daily meals, optional spa services at Pachamama Mexico’s on site spa. Baja Surf Yoga puts yoga first. Each day typically begins with meditation and a 75 or 90 minute vinyasa yoga class. Afternoon and evening practices will include workshop time, yin or restorative yoga and additional meditations. Yoga is suitable for all levels of practitioner. Our guests frequently complement us on our ability to challenge and engage both beginners and seasoned yoga students at each session. Sara-Mai Conway’s classes are informed by her athleticism and her practice of Tibetan Buddhism. On this retreat, she’ll guide you through a combination of meditation and movement. She’s thrilled to host a retreat which offers opportunity to glimpse our perfectly aligned and spacious self, be it through meditation, asana, or on the water as one with the perfect wave. 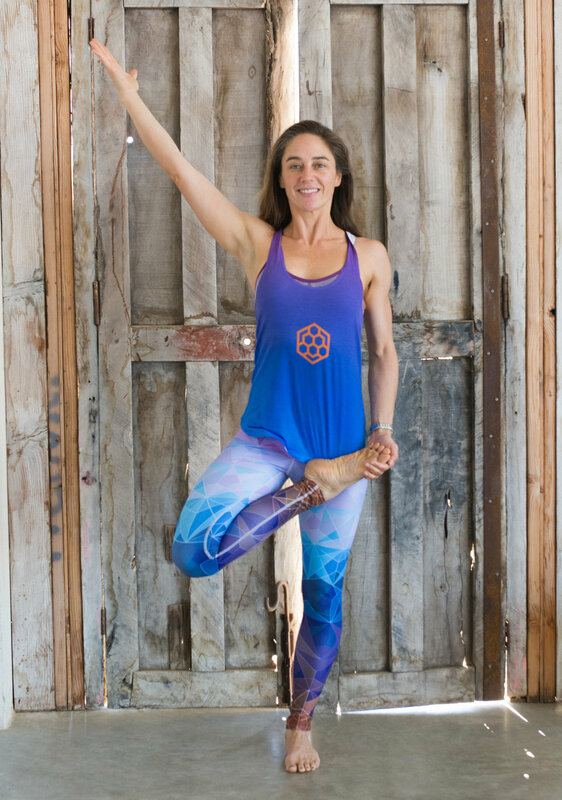 Casie Hall is the owner of Nectar Flow Yoga in Spicewood, Texas. Her classes are informed by her interest in anatomy and yoga philosophy. Her love of surf and upside down yoga poses is infectious. She got there through practice, and she’ll show you how too. I'm interested. make it happen please! Beginners: We practice new things to explore our potential. Through practice we find out we’re greater than the boundaries we’ve mistakenly perceived. Baja’s best surf coaches will guide you through a one-hour lesson. Then the practice is up to you. Beginners will surf twice on this retreat. Intermediate-Advanced Surfers: If you’re able to catch and surf a green wave, this is the group for you. You already know that doing it better takes practice. We’ll partner you with a surf guide who will transport you daily to one of three Todos Santos surf destinations. (Contact us below for details) Board rentals included. Lessons additional. Practice at a new surf spot. Practice with new friends. Practice daily. Learn the basics on Day 1 with a lesson taught by the professionals at Mario Surf School. Take a board out on Day 2 to practice all that you learned. Cerritos Point offers warm waters, a sandy bottom, and the perfect easy point break for beginners! Can you surf a green wave on your own? We’ll send you out daily with boards and a guide. The best breaks around Todos Santos, at the best time of day. Lessons additional. This retreat will confirm once the FIRST FOUR REFUNDABLE DEPOSITS are received. Drop us a note and let us know you’re interested. We’ll keep you informed of details, rates and early-bird specials.